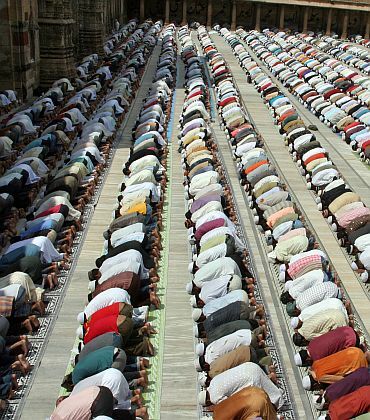 The world's Muslim population is expected to increase by about 35 per cent in the next 20 years, rising from 1.6 billion in 2010 to 2.2 billion by 2030, according to new population projections by the Pew Research Center's Forum on Religion & Public Life. Globally, the Muslim population is forecast to grow at about twice the rate of the non-Muslim population over the next two decades -- an average annual growth rate of 1.5 pc for Muslims, compared with 0.7 pc for non-Muslims. If current trends continue, Muslims will make up 26.4 pc of the world's total projected population of 8.3 billion in 2030, up from 23.4 pc of the estimated 2010 world population of 6.9 billion. How does India stand in this? Not much of a change, it seems. India is projected to remain as the third-largest Muslim population (in absolute numbers) in the world by 2030, following Pakistan and Indonesia. The Muslim population in India is projected to increase from 177.3 million in 2010 to 236.2 million in 2030. 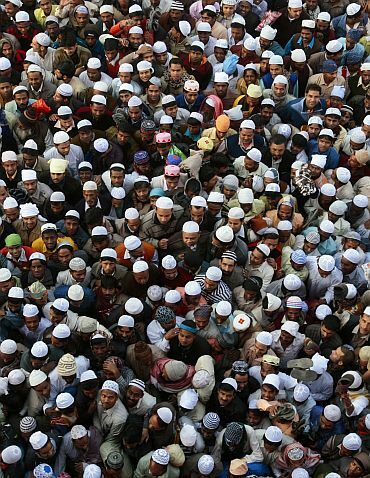 The Muslim share of India's population is expected to increase from 14.6 pc in 2010 to 15.9 pc in 2030. More than one-in-ten of the world's Muslims (10.8 pc) will live in India in 2030, about the same as in 2010. These are among the key findings of a comprehensive report on the size, distribution and growth of the global Muslim population. The report by the Pew Forum on Religion & Public Life seeks to provide up-to-date estimates of the number of Muslims around the world in 2010 and to project the growth of the Muslim population from 2010 to 2030. The projections are based both on past demographic trends and on assumptions about how these trends will play out in the future. India's Muslim population is expected to grow at a slower rate in the next 20 years than it did in the previous two decades. The Muslim population in India increased by 76.4 million from 1990 to 2010; it is expected to grow by 58.9 million between 2010 and 2030. Fertility rates for all populations in India have been declining in recent years, in part because of increasing use of birth control. 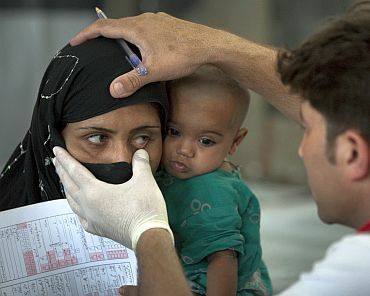 However, Muslims in India continue to have more children on average than non-Muslims, mainly because Muslims' use of birth control still falls below the national average, reports Pew. 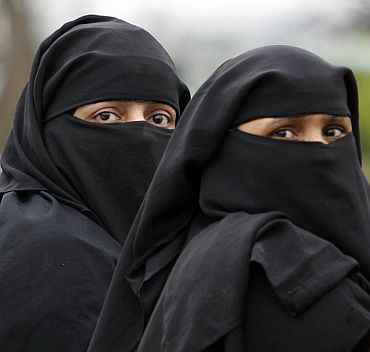 In 2005-2006, for example, 45.7 pc of Muslim couples used some form of birth control, compared with 56.3 pc of couples in the general population, according to an analysis of the National Family Health Survey. Muslims in India are poorer and less educated than other religious groups. These characteristics are often associated with higher fertility rates. For instance, according to the 2001 census, only 3.6 pc of Muslims in India age 20 and older are college or university graduates, compared with 6.7 pc of all Indians in this age group. The literacy rate among Muslim women (50.1 pc) is lower than the rate among other women in India, including Hindus (53.2 pc) and Christians (76.2 pc). While the global Muslim population is expected to grow at a faster rate than the non-Muslim population, the Muslim population nevertheless is expected to grow at a slower pace in the next two decades than it did in the previous two decades. From 1990 to 2010, the global Muslim population increased at an average annual rate of 2.2 pc, compared with the projected rate of 1.5 pc for the period from 2010 to 2030. If current trends continue, however, 79 countries will have a million or more Muslim inhabitants in 2030, up from 72 countries today. A majority of the world's Muslims (about 60 pc) will continue to live in the Asia-Pacific region, while about 20 pc will live in the Middle East and North Africa, as is the case now. But Pakistan is expected to surpass Indonesia as the country with the single largest Muslim population. The portion of the world's Muslims living in sub-Saharan Africa is projected to rise; in 20 years, for example, more Muslims are likely to live in Nigeria than in Egypt. Muslims will remain relatively small minorities in Europe and the Americas, but they are expected to constitute a growing share of the total population in these regions. In the United States, for example, the population projections show the number of Muslims more than doubling over the next two decades, rising from 2.6 million in 2010 to 6.2 million in 2030, in large part because of immigration and higher-than-average fertility among Muslims. The Muslim share of the US population (adults and children) is projected to grow from 0.8 pc in 2010 to 1.7 pc in 2030, making Muslims roughly as numerous as Jews or Episcopalians in the United States now. Although several European countries will have substantially higher percentages of Muslims, the US is projected to have a larger number of Muslims by 2030 than any European countries other than Russia and France. 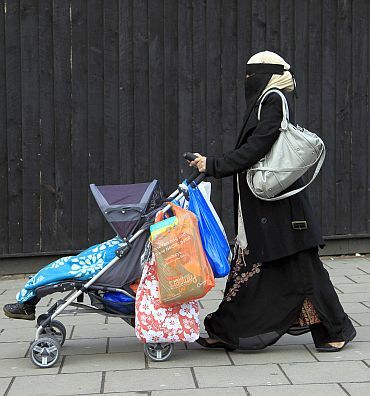 In Europe as a whole, the Muslim share of the population is expected to grow by nearly one-third over the next 20 years, rising from 6 pc of the region's inhabitants in 2010 to 8 pc in 2030. In absolute numbers, Europe's Muslim population is projected to grow from 44.1 million in 2010 to 58.2 million in 2030. The greatest increases -- driven primarily by continued migration -- are likely to occur in Western and Northern Europe, where Muslims will be approaching double-digit percentages of the population in several countries. In the United Kingdom, for example, Muslims are expected to comprise 8.2 pc of the population in 2030, up from an estimated 4.6 pc now. In Austria, Muslims are projected to reach 9.3 pc of the population in 2030, up from 5.7 pc; in Sweden, 9.9 pc (up from 4.9 pc); in Belgium, 10.2 pc (up from 6 pc); and in France, 10.3 pc (up from 7.5 pc). 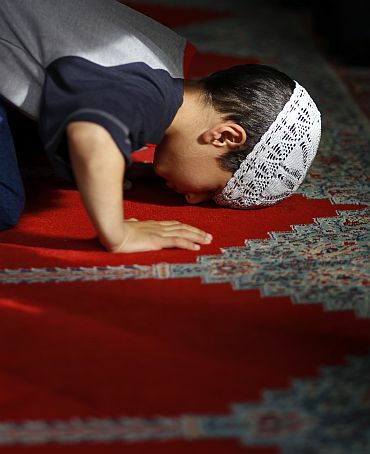 Several factors account for the faster projected growth among Muslims than non-Muslims worldwide. Generally, Muslim populations tend to have higher fertility rates (more children per woman) than non-Muslim populations. In addition, a larger share of the Muslim population is in, or soon will enter, the prime reproductive years (ages 15-29). Also, improved health and economic conditions in Muslim-majority countries have led to greater-than-average declines in infant and child mortality rates, and life expectancy is rising even faster in Muslim-majority countries than in other less-developed countries. The growth of the global Muslim population, however, should not obscure another important demographic trend: the rate of growth among Muslims has been slowing in recent decades and is likely to continue to decline over the next 20 years. From 1990 to 2000, the Muslim population grew at an average annual rate of 2.3 pc. The growth rate dipped to 2.1 pc from 2000 to 2010, and it is projected to drop to 1.7 pc from 2010 to 2020 and 1.4 pc from 2020 to 2030 (or 1.5 pc annually over the 20-year period from 2010 to 2030). The declining growth rate is due primarily to falling fertility rates in many Muslim-majority countries, including such populous nations as Indonesia and Bangladesh. Fertility is dropping as more women in these countries obtain a secondary education, living standards rise and people move from rural areas to cities and towns. The slowdown in Muslim population growth is most pronounced in the Asia-Pacific region, the Middle East-North Africa and Europe, and less sharp in sub-Saharan Africa. In 1990, more than two-thirds of the total population of Muslim-majority countries was under age 30. Today, people under 30 make up about 60 pc of the population of these countries, and by 2030 they are projected to fall to about 50 pc. At the same time, many Muslim-majority countries will have aging populations; between 2010 and 2030, the share of people age 30 and older in these countries is expected to rise from 40 pc to 50 pc, and the share of people age 60 and older is expected nearly to double, from 7 pc to 12 pc. Muslim-majority countries, however, are not the only ones with ageing populations. As birth rates drop and people live longer all around the globe, the population of the entire world is aging. 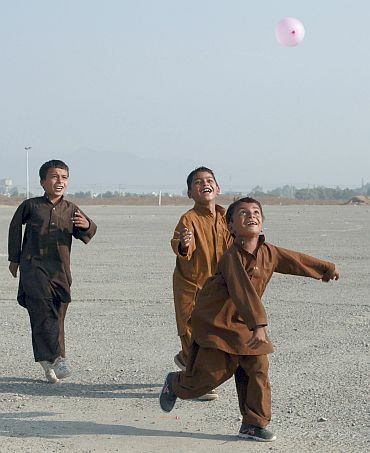 As a result, the global Muslim population will remain comparatively youthful for decades to come. The median age in Muslim-majority countries, for example, rose from 19 in 1990 to 24 in 2010 and is expected to climb to 30 by 2030. But it will still be lower than the median age in North America, Europe and other more-developed regions, which rose from 34 to 40 between 1990 and 2010 and is projected to be 44 in 2030. 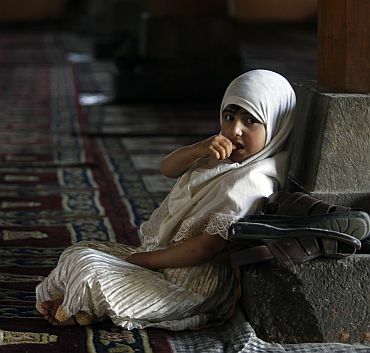 By that year, nearly three-in-ten of the world's youth and young adults 29.1 pc of people ages 15-29 are projected to be Muslims, up from 25.8 pc in 2010 and 20.0 pc in 1990.